Every month we spend an evening scouring the pages of the latest issue of Previews and pick the titles we are looking forward to the most. This month it's the September issue which includes comics scheduled to ship in November 2017. Matt C: How could they? Why would they?! This shouldn’t be allowed! And so on, ad nauseam. 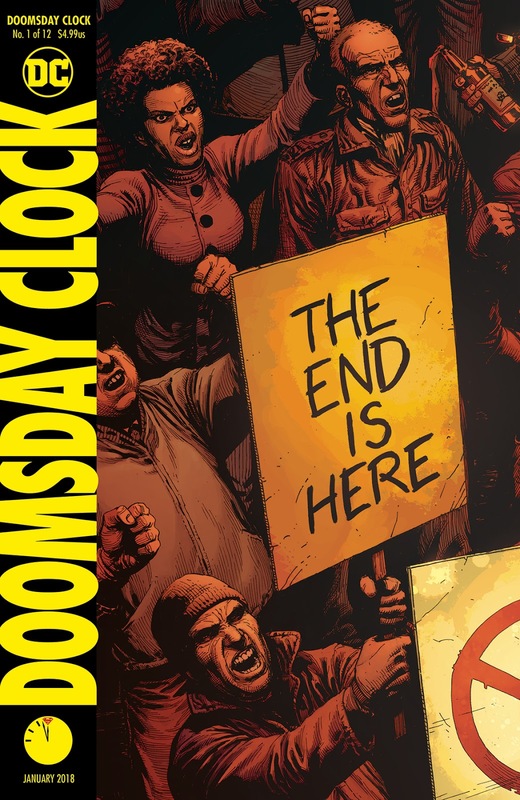 There are legitimate arguments about why Watchmen should be left well alone but there’s also a certain naivety about how the comic book business operates from some more stubborn quarters; the real surprise is it took so long to get here. Look, I love Watchmen; it’s a peerless masterpiece. Before Watchmen was largely a washout, the Darwyn Cooke stuff aside (particularly Minutemen). Bringing the characters into the DC Universe does sound like a terrible idea on paper but I’m heartened substantially by the creative team here. Geoff Johns and Gary Frank. When they get together, as they have done on the likes of Superman: Secret Origin and Shazam! (the highlight of the whole New 52 debacle), the results are generally stupendous. If it was any other combination of creators involved I’d probably skip this, but with these two I have a fair amount of optimism. If anyone’s going to make this work, these guys have a better chance of succeeding than most. Jo S: This 1920s crime thriller from the multi-talented Von Buhler has multiple hooks for me and I find myself very much anticipating its release. 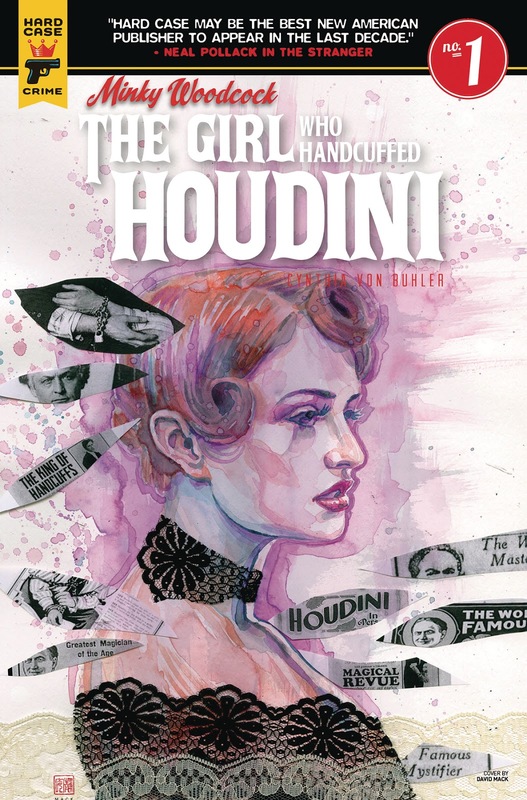 The story promises a tale of the fabulously named Minky Woodcock who, having failed to gain appreciation at her father's detective agency, strikes out on her own to solve a mystery associated with Houdini himself. As a lapsed amateur magician's assistant, I'm interested to see whether the magic side of this is treated as science or wonder (hope it's the former). The cover thumbnails look very tempting - it looks as though the delicately fragile-looking David Mack (with whom I'm familiar from his absorbing work on Alias) version will be Cover A but Von Buhler's own cover also looks fantastic, with the titular character wearing nothing but a strategically placed necklace. James R: I have no real love for DC's Hawkman; I've always thought he looks vaguely ridiculous, and the unbelievably twisted continuity of the character has kept me away. But wait! What's this? 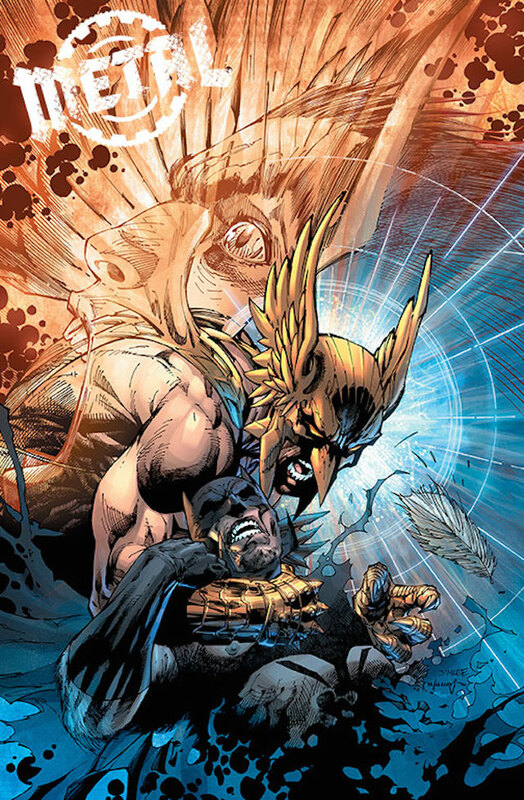 DC have announced that my personal fanboy favourite, the godlike genius of Jeff Lemire, is to write Hawkman Found?! SOLD! I will always read anything with Lemire's name attached, and this one-shot (that could pave the way for an ongoing series) is the perfect way to find out if I can be sold on the adventures of Carter Hall. I'm more excited about The Terrifics, but still, any Lemire book is a cause for celebration and an immediate add to my pull-list. Simon M: I will only need two words to make you want to read this new book: space monkeys! No? Not quite enough? Space monkeys aside, this looks like it could be an absolutely bonkers read. 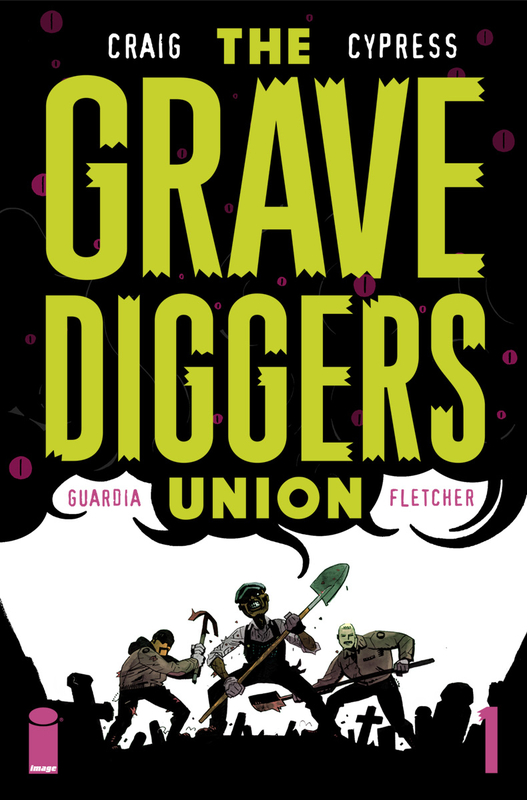 Wes Craig, artist on the fantastic series Deadly Class, is bringing his creative genius to the forefront again with this new offering in November, The Gravediggers Union. Three members of the union during the day toil putting the dead to rest and then at night ensure they stay dead. Their nocturnal activities are going to be pushed to the limit as the supernatural world goes into overdrive. This is all down to the practices of a very powerful cult, whose objective is the end of the world as we know it. A veritable apocalypse! At the centre of this coming storm is Morgan, the daughter of one of the gravediggers. Craig is the writer for this project and says he is trying to mix horror with humour that combines the styles of E.C. comics and H.P. Lovecraft. Toby Cypress has done some stunning work including Omega Men. This just sounds like a blast all round! So, if space monkeys didn't get you how about... steroid zombies?! James R: Occasionally, when we go through Previews, we find a title that makes us laugh with either the inanity or the audacity of the title and pitch. This month, step forward Savage Sword Of Jesus Christ! See, with a title like that, you want to know more, right? You probably won't be too surprised to learn that the mash-up between the Hyperborian death machine and Nazareth's popular carpenter/life-coach comes from the mind of Grant Morrison. Morrison has based this on a real (and obscure) facet of Nazi history - Hitler and co. planned to 'rebrand' Jesus as a proactive Aryan rather than a meek Jew. This one is so nuts, I can't not pick it up! With art from the Molen Brothers, this is undoubtedly 2017's most unexpected book. 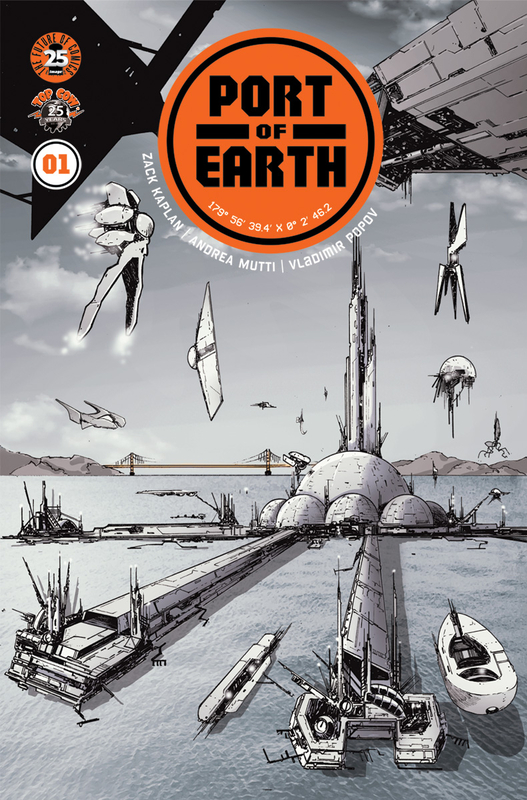 Jo S: Port Of Earth promises a nice lush helping of classic gritty sci-fi, in the form of a future vision where aliens, instead of arriving with invasion or destruction in mind, have approached Earth to make arrangements for a space port to be built. The Earth benefits from alien technology and the aliens benefit from new business opportunities. Of course, all ports require security and here this comes in the form of the Earth Security Agency, whose operatives round up aliens who have broken restrictions - so far, so Men In Black. I like the look of the cover art for this - crisp, clean, future-y looking architecture with a Golden Gate panorama in the background. I'm crossing my fingers that there will also be robots!